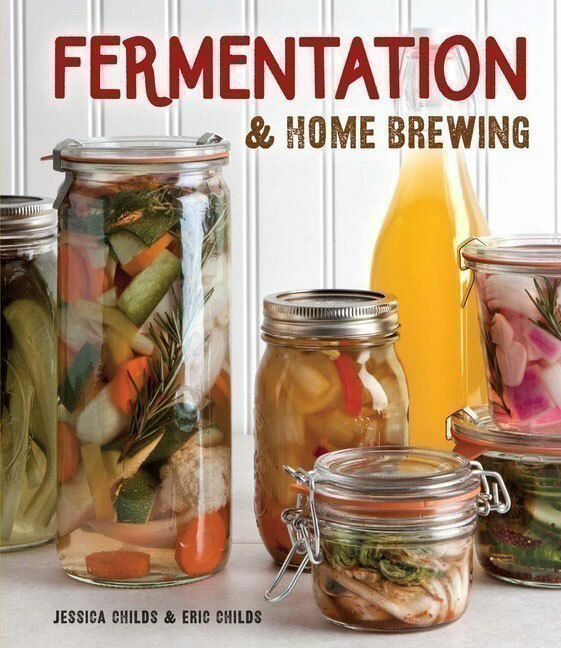 This book contains 184 pages of helpful information to get you started with home brewing and fermenting. Choose from chapters on fermenting vegetables, grains, and more. Learn how to home brew wine, beer, kombucha, and many other drinks. Add this insightful book to your cart and don't forget glass jars and glass bottles to package and store your culinary creations! This book contains 184 pages of helpful information to get you started with home brewing and fermenting. Choose from chapters on fermenting vegetables, grains, and more. Learn how to home brew wine, beer, kombucha, and many other drinks. Add this insightful book to your cart and don\'t forget glass jars and glass bottles to package and store your culinary creations!